The Provincial Budget is Almost Here, and Community Groups Have One Last Chance to Be Heard! The provincial budget is close to being announced, and the coalition of community groups that has been leading the charge against cuts to social services and nonprofit organizations has one last day of actions planned for Montreal on Tuesday, March 13th. FRACA Montréal invites you all to an animated picket line where we will use theatre to demonstrate the disappearance of public services and community organizations. As a matter of fact, for the past several decades, and especially the last one, it has been made clear that the continuous attacks on our social safety net are actually aiming for its disappearance. What if it all does disappear? What if we disappear? The demo should be finished by noon. You are invited to come participate and play a role and theatrically embody community organizations or public services. You will be attacked by neoliberal policies that will try and make you vanish. However, you are ready to fight and, as you receive bursts of solidarity all around you, you will be able to save the resource or service you represent. Moreover, we will save our precious values of social justice and equality for all through the equalized distribution of wealth. Word is that that one community sector is organizing an action in front of a public institution that is accused of no longer providing the services necessary to protect basic human rights and dignity. We also heard that one neighbourhood is planning on leafletting (distributing flyers) and informing the general population (here is a leaflet – in French – that you could use). Finally, one other neighbourhood is apparently planning a demo in front of a public institution. 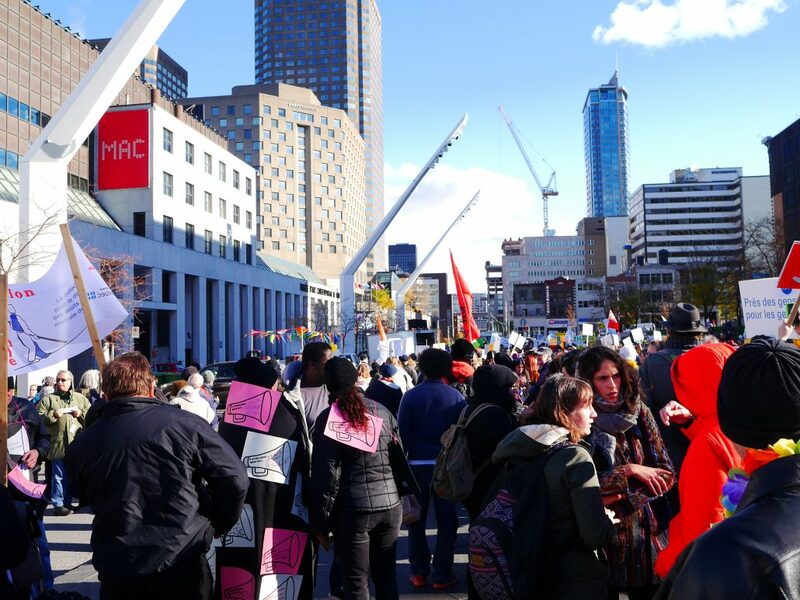 Whether your action is big or small, aims to inform or to disturb, FRACA Montréal invites you to get into action on the morning of March 13th! Please let us know what it is that you are planning! Write us at fracamontreal@gmail.com. If you are not already involved in an action in your sector or area, come join us! https://coco-net.org/wp-content/uploads/2017/09/2016-11-09-02.30.06.jpg 3456 4608 Kira Page https://coco-net.org/wp-content/uploads/2015/01/COCo-Logo-No-Text-300x165.png Kira Page2018-02-27 18:21:392018-02-28 18:30:34The Provincial Budget is Almost Here, and Community Groups Have One Last Chance to Be Heard! Membership Form for Organizations COCo is Recruiting a new Board Member!